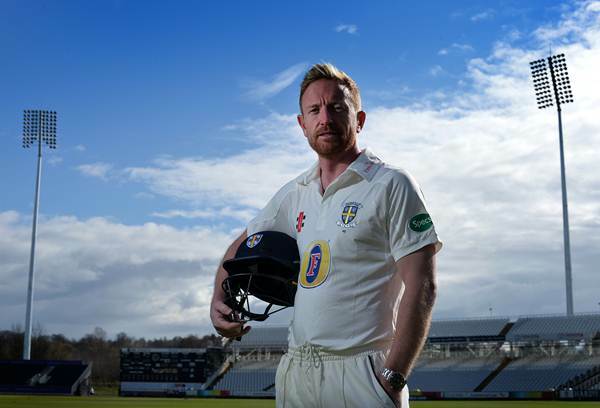 Each time you took the name Paul Collingwood, there was little or no swagger about it. He was a quite cricketer as he went about his business rather quietly. This fact impressed the ECB so much that he was made captain ahead of many others suited for the role. More importantly, for the ECB at least, he became a massively successful skipper, winning England’s first ever silverware in an ICC event. In addition, he left the game the same way he entered it, as quietly as a sly fox. Paul David Collingwood was born on the 26th of May 1976 in Shotley Bridge, County Durham, England. Paul Collingwood has a plethora of nicknames. Some of the popular nicknames are Colly, Weed, Shep, Brigadier Block and Wood. He is called Shep, keeping in accordance in apparent homage to the famous Blue Peter Collie dog, Shep. Paul Collingwood wasn’t the most talented of a cricketer. However, he had something no one else did. It was his ‘sisu’. It was his sheer ability to stare defeat at the face and spit in the eye of the tiger. It was this attribute that saw him become the eventual England skipper. Paul was able to “force his way into Shotley Bridge’s Under–13s team at the age of just nine”. Collingwood was requested by his father to give up football and focus on cricket when he found out about his son’s cricketing talent. He is also a supporter of Sunderland AFC, a club that plays its football in the top tier league in England. That very quote proves to one and all that Collingwood is made of flesh and bones. It was hard work that got him to where he is today. A journalist once wrote: “Collingwood still makes regular visits to his old cricket club, “…he is a brilliant role model for the kids and his success is an aspiration to follow…”. Colly’s baptism of fire came in the 2005 edition of the Ashes that took place in England. The Australians were massive favorites going into the series with Michael Vaughan’s young side expect to be on the receiving end of a drubbing. However, some astounding performances from Andrew Flintoff saw the Brits pull off a surprise as they clinched the series 2-1.Collingwood however, played just the 5th Test of the series. Although the 2006/07 Ashes series was a horrific series for England, Colly had a productive time with the bat. With Andrew Flintoff named as the England skipper after the retirement of Michael Vaughan, Collingwood soon became the right-hand man for Freddie. His best moment, perhaps in all of Test cricket came in the second Test match at the Adelaide oval where he smashed an audacious 206. However, the English lost that match rather disappointingly by 6 wickets. He was the second highest run-getter in the series for England with 433 runs to his name. Many pundits have stated that Collingwood is a ‘dibbly-dobbly’ bowler. He bowled a slow medium pace and usually operated in the middle of the innings in both ODIs and Tests. Most of his deliveries also included off cutters. Despite his decent form with the bat in 2006 and 2007, Collingwood had a torrid time with the bat in 2008. This eventually led to his resignation as England skipper for ODIs. However, he kept the T20I captaincy and also faced humiliation when the Netherlands beat them in the group stages of the 2009 World T20 in England. A difficult summer followed where Collingwood struggled to come to terms with the seam and swing of Mohammad Amir and Mohammad Asif in the controversial spot-fixing series. Despite his horrific record with the bat, his fielding was exemplary. Paul Collingwood is known to be one of the best fielders in the world. His agility and diving separate him as a world-class fielder. He has well and truly set the benchmark for English cricketers in terms of fielding. His usual fielding positions included backward point, point, and gully. It was England’s first overseas one-day trophy for nine years, and his subsequent appointment to the captaincy in June 2007 was met with unanimous approval. He cemented the role with memorable victories over India at home and Sri Lanka away. As in Top Gun, the fictitious elite flying academy, the best come back to teach. Thus, Collingwood made it back to the England team as a coach shortly after his retirement. He has worked as a batting and fielding consultant for England as well as his county Durham in the LV County Championship. He was a fielding consultant for England in the 2015 World Cup in Australia. One of his most distinguished achievements includes being the first Durham player to score a Test century for England, and first to hit one at Riverside Ground.